When you see subjects such as “Access to your account was limited” be extra wary. 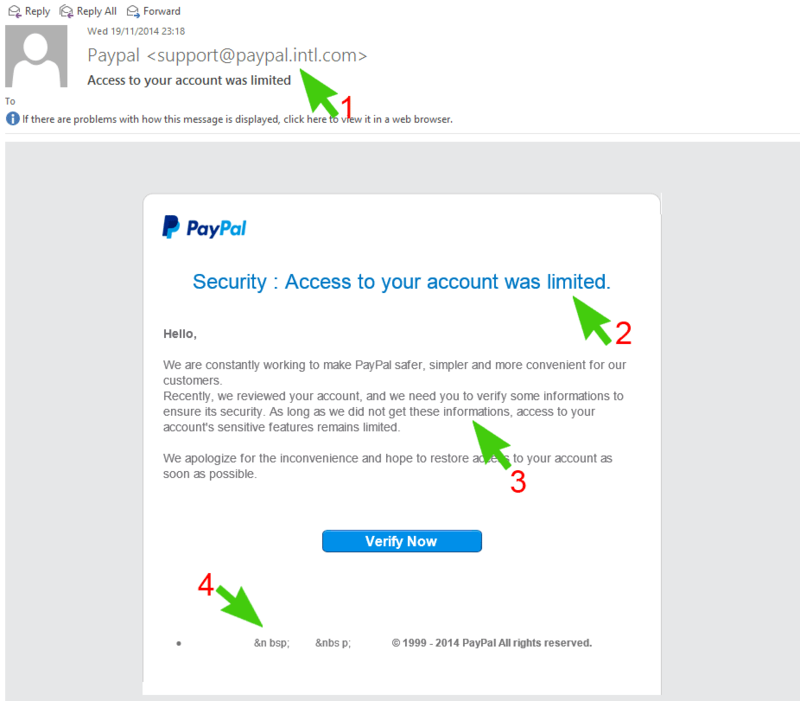 Scammers will often try to create a sense of urgency and panic enticing you to click on the link. 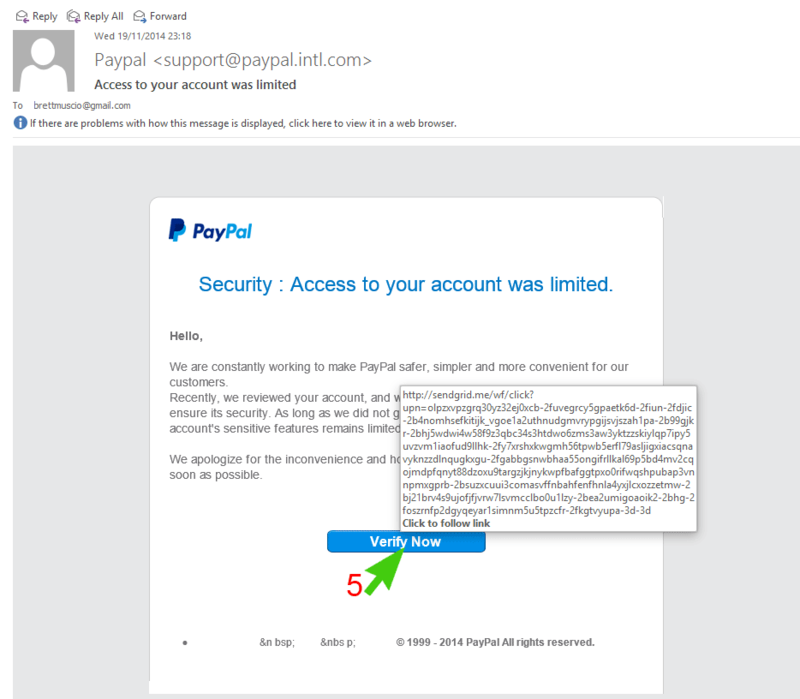 For some reason most phishing emails have incorrectly formatted paragraphs and bad grammar. A legitimate company usually triple checks all emails before sending them out. These are a sure fire way of telling that someone hasn’t put any effort in to the email and don’t care about the image of the company they work for. 5. Check the link before clicking. In most email programs if you hover over any buttons or links you can see the website that the button will take you to. Don’t click on any links that take you to a domain name which is different from the website that you would be expecting it to. In this case we would be expecting paypal.com, not sendgrid.me.